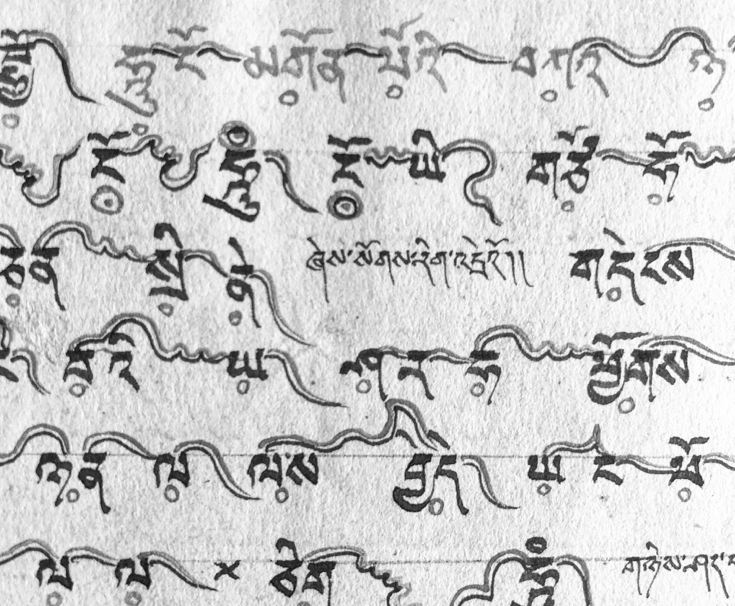 Tibetan musical notations, Google points out, “symbolically represent the melodies, rhythm patterns, and instrumental arrangements. 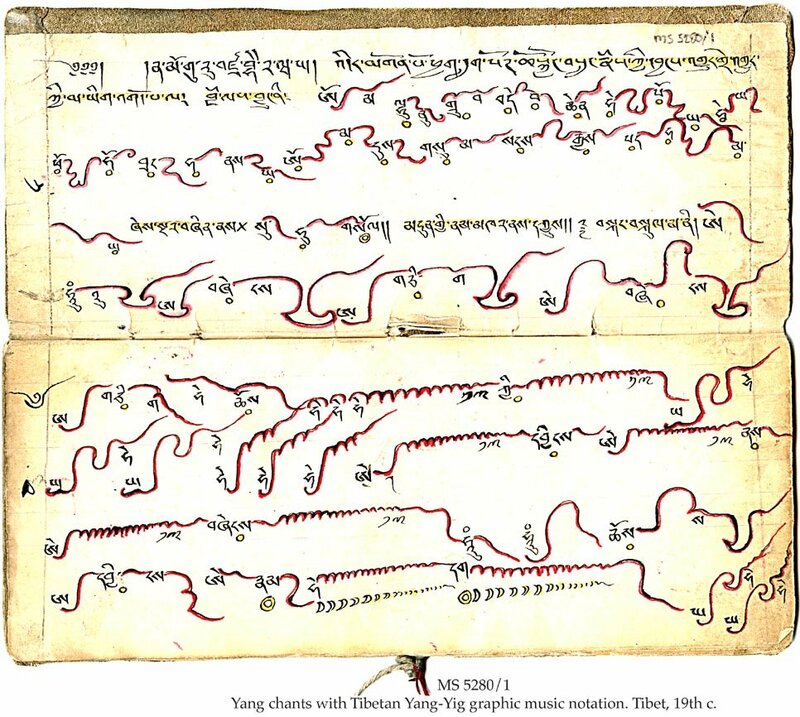 In harmony with chanting, visualizations, and hand gestures, [Tibetan] music crucially guides ritual performance.” It is characterized not only by its integration of ritual dance, but also by a large collection of ritual instruments—including the long, Swiss-like horns suited to a mountain environment—and unique forms of polyphonic overtone singing. Und die Musik ist sowieso phänomenal.